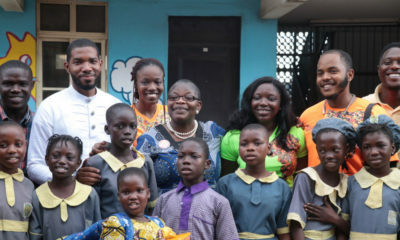 It is certainly the season to be jolly and this December Slum2School Africa is teaming up with various incredible organizations, Schools, Churches and volunteers to give out 10,000 well wrapped gift boxes to vulnerable children across 15 communities in Borno, Abuja, Port Harcourt, Umuahia and Lagos State all in Nigeria. 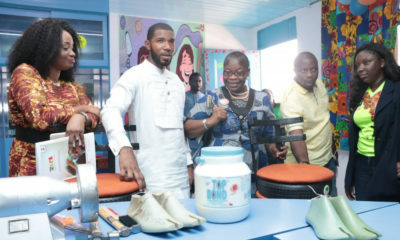 Through the “Christmas in a Box” campaign, Slum2School is encouraging people to give out gift items in well wrapped boxes to the less privileged in the society. On Friday 15th to Sunday 17th December the team across these states will visit various communities and Bellanaija is proud to be part of this campaign. 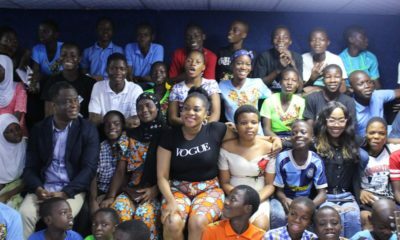 As usual there will be a surprise Santa Clause, a role that personalities like Alibaba, Denrele, Seyi Shay and more have played in the past years. This year will also feature another exciting personality and you also have the opportunity to be playing Santa to the children. You can put together your gift boxes and plan to meet the team at any of the various states or join in the grand finale on Saturday 16th December at the Slum2School Early Childhood Development Center, Adekunle Anglican Primary School, Makoko road, Yaba, Lagos state where we will be celebrating with 1000 children.